Jesus” – sees his need, casts out the demons, and sets him free. Jesus can calm the storm – the wind and the waves obey his voice – but he didn’t come to calm the storm. He came to save souls. you through the storm, and above all, know that he loves you. Fear is Not a Plan – Our response to the unexpected determines our trajectory. If we respond in fear we give all the power to the elements – BUT – if we respond in faith, then all power and authority found in Jesus will become ours to overcome the storm. Faith in Jesus holds infinite power and ultimate peace. 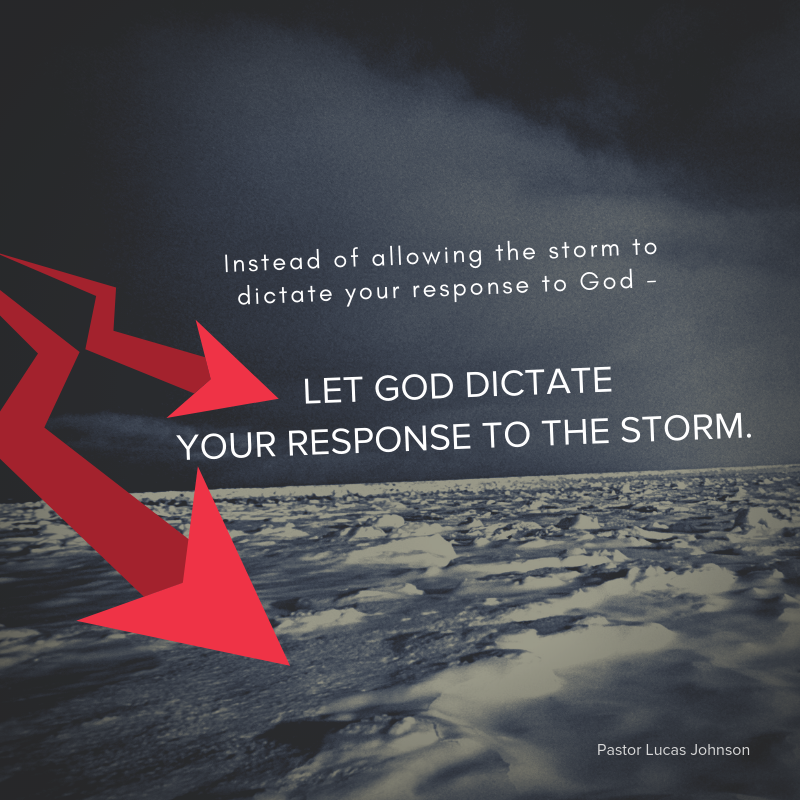 Instead of allowing the storm to dictate our response to God, let God dictate your response to the storm.